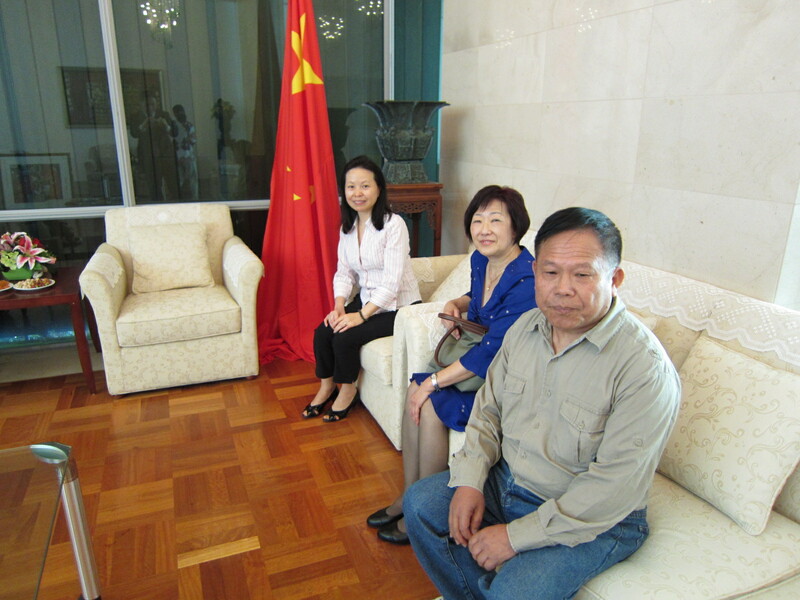 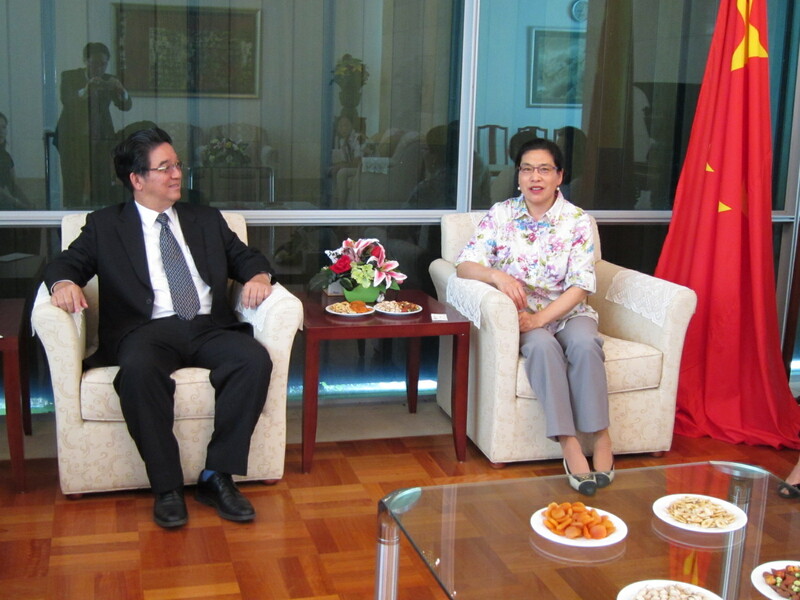 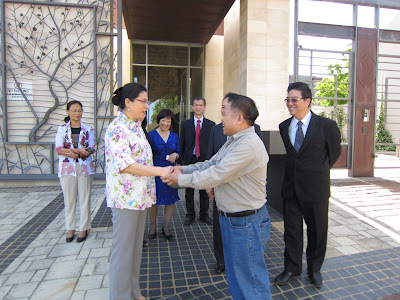 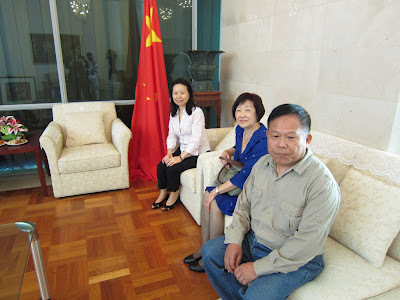 On 1 November 2011 our Association sent a delegation to pay a courtesy call on Ms WANG Yiner, the new Consul-General of the People's Republic of China in Perth. 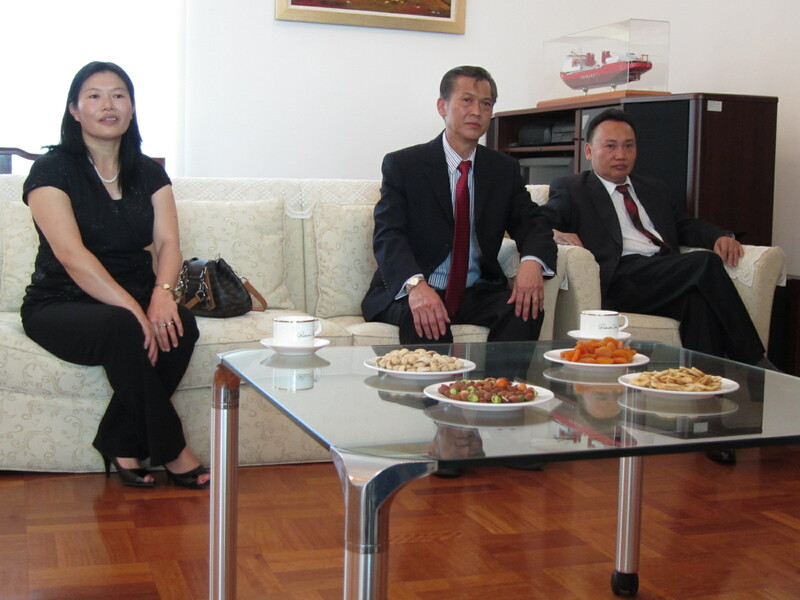 The group consisted President Dato' Tet K Yong, Honorary Adviser Mr ZHANG Xiaoting, Chinese Secretary Xiao Ye, Executive Vice President Keith Yong, and Committee members Norman Chia, Juliet Chin and ZHANG Aihong. From Left: Keith Yong, Consul Deng, Juliet Chin, Vice Consul Zhang, Dato' Yong, Consul-General Ms Wang Yiner, Xiao Ye, Norman Chia, Zhang Xiaoting, Zhang Aihong. 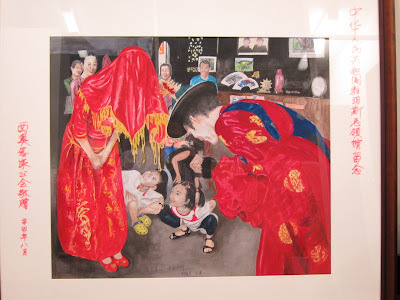 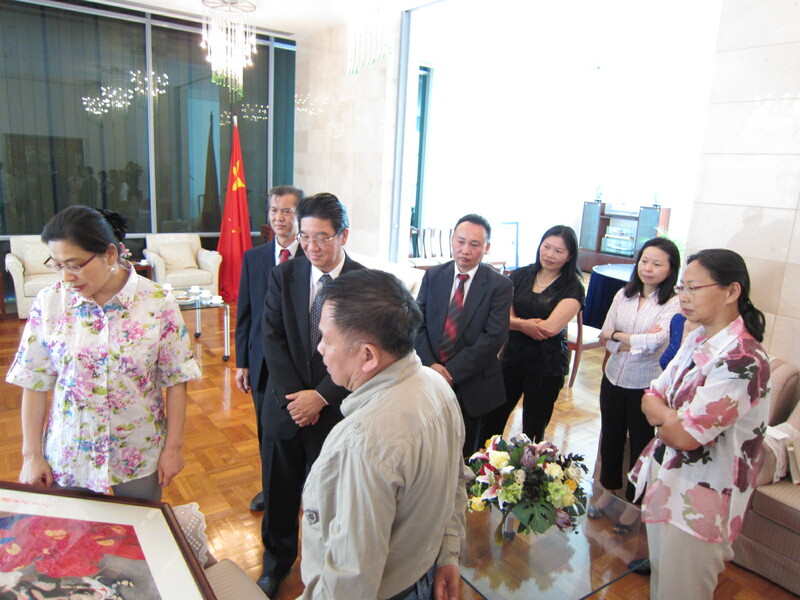 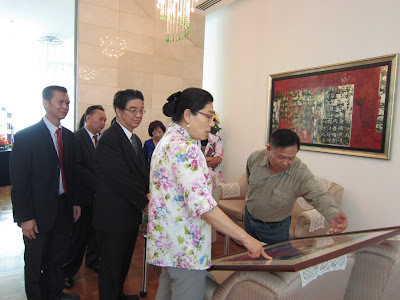 A painting by Xiao Ye was presented to the Consulate-General, by Xiao Ye and President Yong, to Consul-General Wang and Vice Consul Zhang. 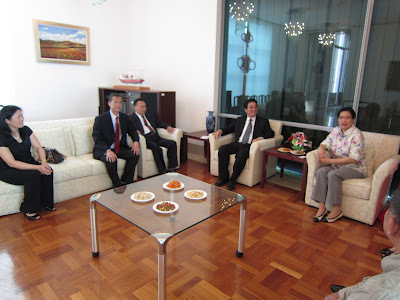 Consul-General Wang receiving the delegation led by Dato' Yong. Tea and food were served.